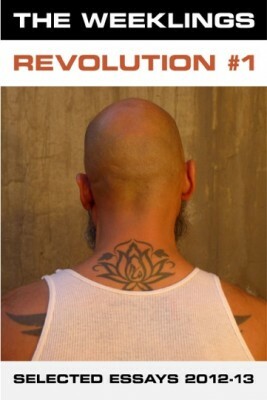 Revolution #1 features work by Bob Devine, Alex Clark, Amanda Nazario, James Greer, Elizabeth Eslami, Toby Barlow, Tom Gualtieri, Ronlyn Domingue, Peter Mountford, Danbert Nobacon, Elissa Schappell, Michael Gonzales, Bill Spring, Quentin Rowan, Lawrence Benner, Lauren Cerand, Derek Bardowell, Samuel Sattin, Diana Spechler, J.M. Blaine, Robin Antalek, and a “point/counterpoint” with New York Times #1 bestselling author Jess Walter. 1. You’ll be supporting one of the few publications of its kind to pay its contributors. 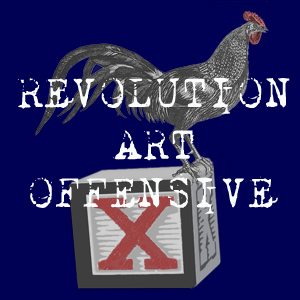 The proceeds from sales of Revolution #1 comprise “revenue” and will be divvied up and sent along to the writers whose work has appeared on these pages. Read about it here. 2. Most likely, you have not read all 365+ essays that have appeared at The Weeklings. Where would you even begin? This is like a guided tour of our sterling archives. 3. $4.99 is the price of a beer. Actually, it’s less than the price of a beer, if you live somewhere like Brooklyn. Wouldn’t you like to buy us a beer? Of course you would; you’re an I’ve-got-this-round kind of person. 4. It’s good. Seriously, there’s some really good stuff in this thing. This little paragraph is not doing it justice. 5. If you don’t buy Revolution #1, we’ll be forced to do Kickstarter. No one wants that. Seriously, imagine all those annoying emails and Facebook status updates you’ll have to endure. Don’t make us go that route! For the love of God, buy the anthology! …on Amazon, for your Kindle. …on B&N, for your Nook. …on Kobo, for your Kobo reader, or other formats. …on Smashwords for your iPad, iPhone, or other formats. 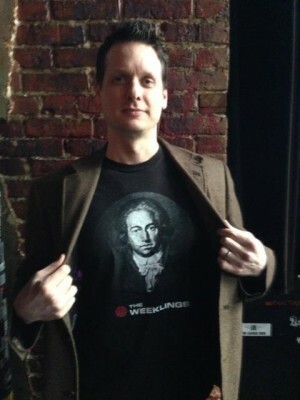 If you find it in your (bleeding) heart to further support us, please “like” us on Facebook, “follow” us on Twitter, buy a snazzy t-shirt (see photo of Mr. Beaudoin, above), and, for extra credit, write a review of the anthology on one of the aforementioned e-sellers. This entry was posted in The Weeklings and tagged Kickstarter, support us, The Weeklings. Bookmark the permalink.